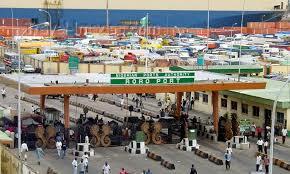 Maritime workers’ union give Federal Government 21 days’ ultimatum over port’s roads – Royal Times of Nigeria. 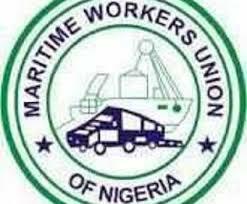 The Maritime Workers Union of Nigeria, MWUN, as given the Federal Government a twenty-one-day ultimatum to rehabilitate and make the Oshodi-Apapa Dual Carriage Way and the access roads leading to the nation’s sea ports motor-able. The President of the union, Prince Adewale Adeyanju, who gave the ultimatum in Lagos on Sunday, said it is sad that the access roads to the ports are in a deplorable condition. Adeyanju said that the union is worried that the access roads that leads to Apapa and the Tin Can Island Port, which are the gateway to the nation’s economy, have been abandoned. The union president said that for a long time, the roads have become death traps to road users as the roads have been recording fatal accidents on a daily basis. He lamented that in December 2016, the Nigerian Ports Authority said that the contract for rehabilitation of the Dual Carriage Way had been awarded, but that till now nothing has yet been done. He appealed to the government to repair the roads to save lives of innocent Nigerians that get trapped on the road or are being attacked, robbed, harassed, intimidated and abused by hoodlums, who take advantage of the deplorable roads to perpetuate all sorts of crimes.